What does the stamping say on the 19, Tom? I can't make it out. That's fantastic, sir! I hope one of the new pipers takes you up on your offer! 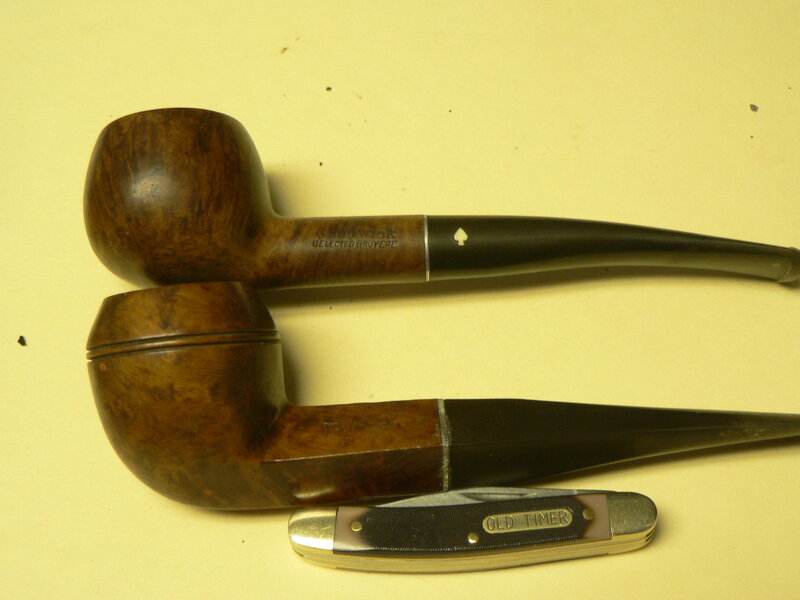 Both are private label pipes made by Grabow before I started. The #19 prince is a Chadwick probably made 1960/1963. The #86 bulldog is Briargate and based on the cleaner was made 1953/1957. The bulldog has a German bit which is almost indestructable. In the late 30's Hitler wanted a material for vehicle tires and tank tread. One was made from vulcanite and a plastic of the day. Didn't work for vehicles because it was so hard that a light rain was like ice. Tank tread just busted off. Wish I were a newb! Very cool of you! That is awesome. Some new piper has a chance to own a couple of neat old pipes!